Pura Ulun Siwi is located in the area of Jimbaran Bay, Jimbaran Village, District of South Kuta, Badung Regency, Bali. This holy temple is situated in the center of the village (catus patha) with the entrance facing the east to the traditional markets of Jimbaran. Ulun Siwi Temple is one important temple called the Kahyangan Jagat Ulun Swi. By the local community, this sacred shrine is often called "Pura Gede". The word "Ulu" means top, head, center or source. While the word "Swi" means fields. This temple is devoted to invoke prosperity of rice paddies and fields in Bali. There are several sources that mention and relate about the existence of Ulun Siwi Temple include: Lontar Usana Dewa, Lontar Ilikita, Lontar Babad Mengwi, Lontar Babad Jimbaran, Bali Purana, Lontar Kanda Kuttara Dewa Purana Bangsul and Lontar Sri Purana. From the sources it is known that the holy temple represents a long history. 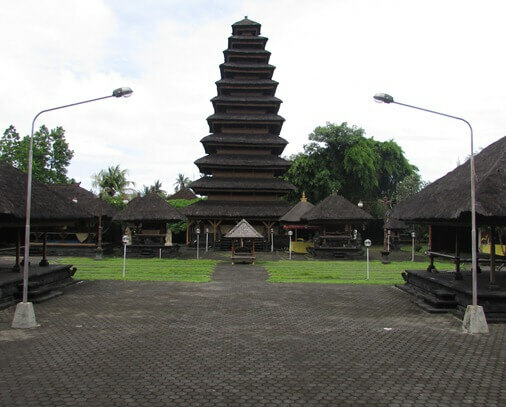 Mentioned in the Bali Purana, this temple was built by the Mpu Kuturan and contemporaneous with the development of the Kahyangan Jagat in Bali (11th century). The temple area is a place for roof overlap shrine or "Meru" up to 11 levels. Inside the Meru there are six (6) pieces of small shrine (made of wood) serve as "Pesimpangan Kahyangan Jagat" in Bali. There are also ancient statues from the 17th century consisted of Arca Dewata Nawa Sangga (Rudra shaped in the South), Arca Panca Pandavas (Bhima shaped in the Middle) and the statue of Lord Astha Wasu (Gana Patya shaped in the North). They are like chronogram. Pura Ulun Siwi Temple Jimbaran is a mother temple and has "Pesimpangan" in some places that has the same function as the soul of rice paddies and fields. 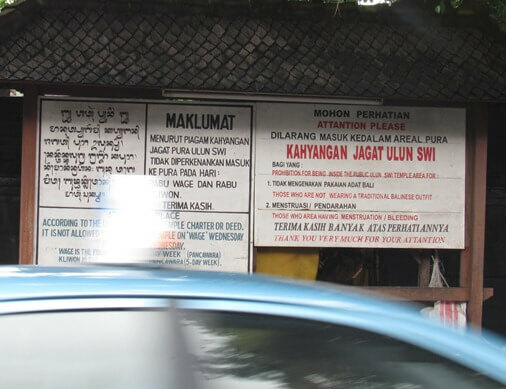 These Pesimpangan are include: Ulun Suwi in the village of Seseh (Mengwi), Ulun Suwi in Klungkung, Pura Sri Jong (Tabanan), Pura Pakedungan (Tabanan), and Ulun Suwi in Moncos.